You must be a member of the Nairobi Lunch & Brunch Group to attend this activity. Would you like to join this group? 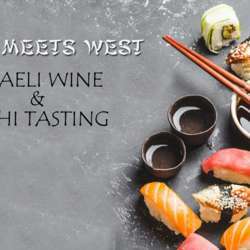 invite you for a special Wine & Sushi Tasting Event. By chef Philip Shin & Baraka Israel. during a fascinating lecture about the legacy of winemaking in Israel throw out history.